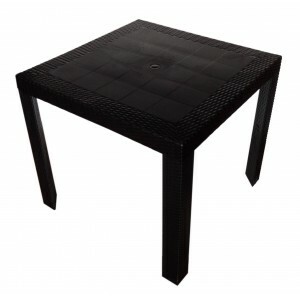 The Nusa Rattan Black Plastic Table is idea for Ourdoor, whether for Café/Restaurant or Home. They are sturdy and stylish. The Rattan design just making it just as attractive as traditional rattan outdoor furniture. They are stronger, easy to clean and maintenance, also waterproof. Aviable in Black and White colour.